In today’s day and age, inclusive environments have become a driving force. It’s become necessary for anyone who wants to gain a following to be open to all different kinds of people. This list could include LGBTQ people, disabled veterans, convicted felons, and the list goes on. We want to teach employers how they can create an overall diverse workplace by creating an inclusive internship. One reason implementing diversity matters is that by doing so, you’re opening new doors for new people. You have the possibility to branch out to people you wouldn’t have. More people means more ideas and hands to work with. It will benefit your business by coming at old problems with new ideas. Keeping your employees mental health as a high priority will lead to lower health care costs and lower legal costs. People Scout states that employees who feel the need to hide their true personalities have higher stress levels, and more health issues. 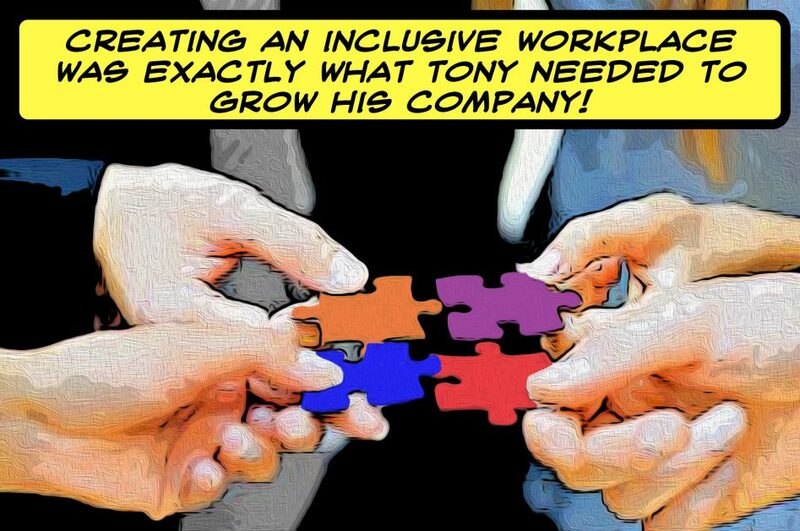 Showing your inclusivity toward your employees will broaden your reach on customers. By having these new ideas to work with you’ll be hearing from a whole new pool of people. In turn, your customers will become more diverse, and your amount of clientele will increase. Research proves that diverse work environments significantly outperform non-diverse businesses. According to research done at McKinsey&Company, there is a 33% chance of higher performances for these companies. These are only a few of the ways that creating an inclusive internship in your workplace will benefit your business. There’s many more that you’ll discover once you decide to take the leap. In order to create an environment that is open, the leaders of the business need to practice what they preach. When leaders show their opinions and thoughts on a topic, it’s natural for their listeners to take on those thoughts. It will filter down through the workplace and one day it will be a safe space. So, start showing your pride and diversity through your actions. People need to know that you’ve decided to implement new policies. It can be something like updating your mission statement to include a wider reach. The Denver Foundation has a few examples of possible mission statements on their website. One of the examples they use is from the Chinook Fund, it states: “The Chinook Fund is committed to the transformation of society into one that promotes social justice and freedom from oppression, including but not limited to, racism, sexism, classism, heterosexism, ageism, and ableism.” This is an ideal form of a mission statement because it implements protective policies and provides safety to those who might need it. If you don’t advertise it anywhere, people won’t know to look to you as a safe place to work. Make it known that you are an inclusive area, and you’ll find some incredible people knocking on your door. Now, we’ve said a lot about adding a team or a lot of new people, but that aspect is unnecessary. Just slowly start branching out, starting with internships—or even virtual internships—to add to your pool of people. It is not a hard process. All it takes is updating a few documents, rethinking old standards, and meeting new people. In the long run, your business will become a safe place for people who can’t always find one, and your productivity will soar. Before you know it you will be amazed by the new things that will be brought to your business by adding this fundamental aspect. Look at SuperInterns.com to learn more about how virtual interns can be helpful in all situations!